Lock in a great price for iclub Sheung Wan Hotel – rated 8 by recent guests! Spacious and very clean room. 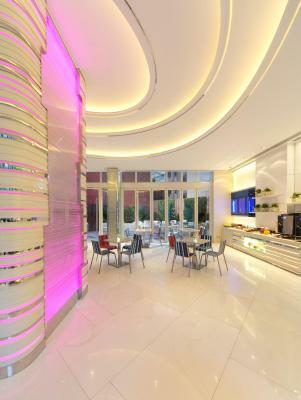 There are coffee and bakery and fruits provided in lobby lounge in the morning. 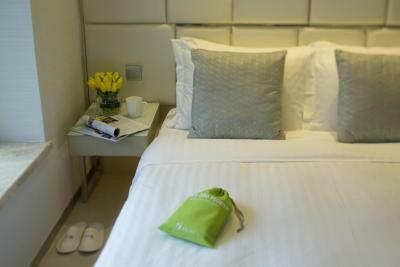 Location was perfect for using hk airport express train and free shuttle bus service and near MRT central. Big Supermarket nearby opened until 10pm. Very good location walk to central and MTR , breakfast is very simple but coffee is good. Good, simple breakfast if you like to get up and go in the morning. 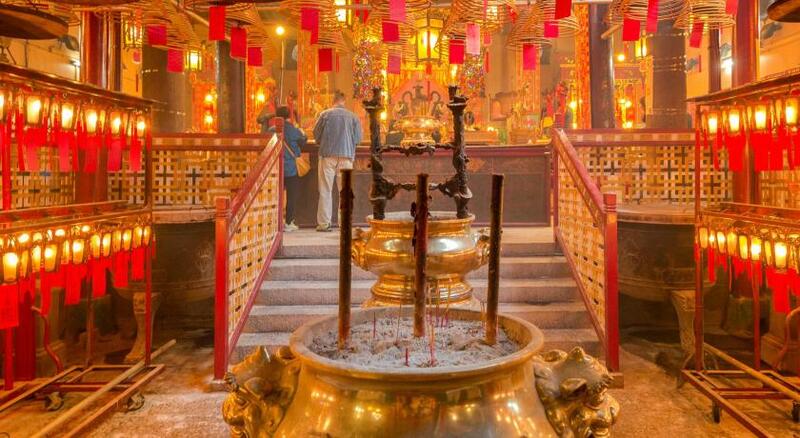 The location was good - close to MTR and walkable to bars & Central. Room was small like all HK rooms but if you just need a nice place to sleep this hotel is perfect! The location is perfect, but the room is so small. Last time when I stayed in this hotel, I found the room is quite small, so I booked for a kingsize room this time. However, I could hardly find the size significance with my last visit. The kingsize room is still quite small. 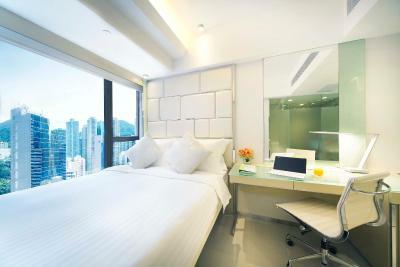 Anyway, the hotel location is perfect, especially for business travel, you can expect more in the central of HK. 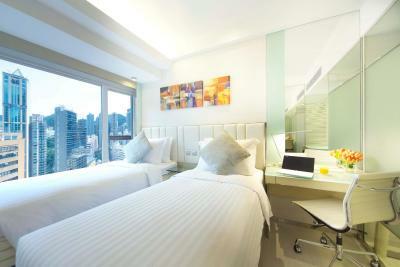 Larger than average room for HK standards at this price, with clever lay out and all modern facilities. Room was clean, size of room and bathroom was good for the price. I do not like the hotel it was not safe about the hotel. I like the location the most! It's near MRT, many restaurants, 7-11, and places. 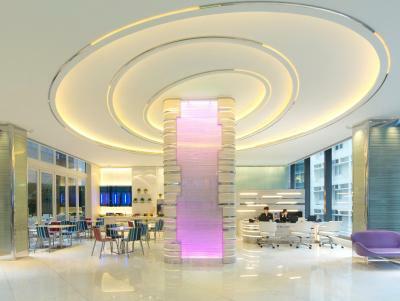 Center location,very clean,front desk very helping. 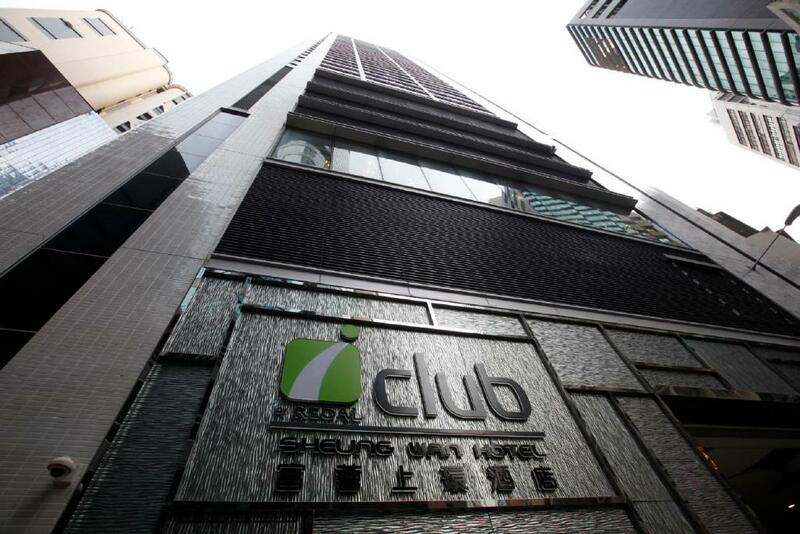 iclub Sheung Wan Hotel This rating is a reflection of how the property compares to the industry standard when it comes to price, facilities and services available. It's based on a self-evaluation by the property. Use this rating to help choose your stay! 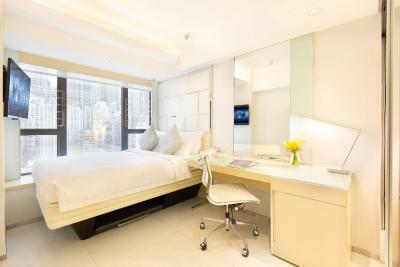 Located in Hong Kong, iclub Sheung Wan Hotel is centrally located in Sheung Wan District. 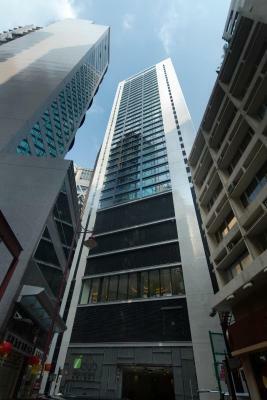 Lan Kwai Fong, Central financial areas are located within walking distance. 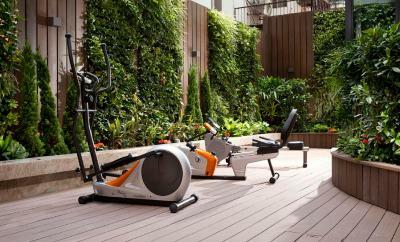 Free WiFi access and a 24-hour fitness center are available. 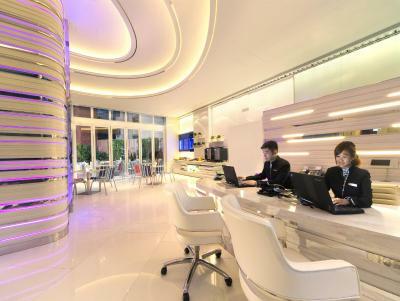 The hotel is 1,300 feet from Hong Kong Macau Ferry Terminal, 3,300 feet from SoHo and 2,300 feet from Mid-Levels Escallator. Hong Kong International Airport is 24 mi away. 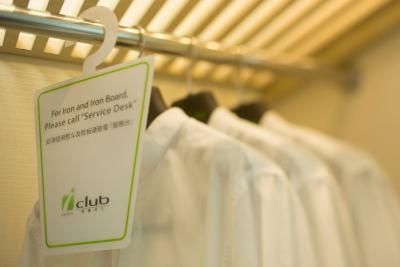 When would you like to stay at iclub Sheung Wan Hotel? Offering exciting cosmopolitan cityscape through large windows, the rooms are approximately 16 square yards in size and features 1 double bed. 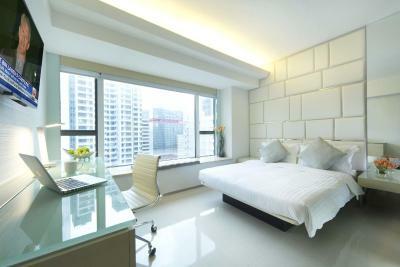 Furnished with contemporary design, the 17-square-yard rooms feature 2 twin beds. Exciting city view can be enjoyed through the large windows. 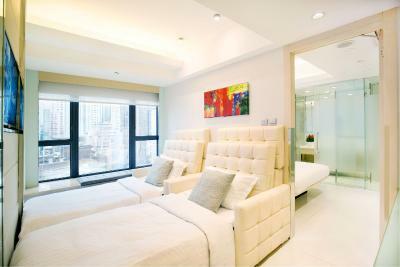 Furnished with contemporary design, the 18-square-yard rooms feature 1 double bed. Exciting views of cityscape can be enjoyed through the large windows. 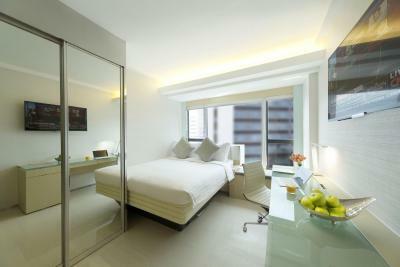 Located on the higher floors, the rooms offer spectacular Hong Kong landscape peak view through large windows. iSelect Premier features 1 double bed with an average room area of 15 square yards. 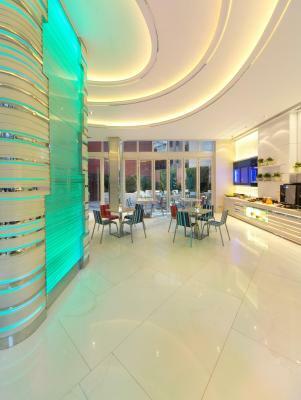 Guest can enjoy free access to Sweat Zone for fitness facilities and 24 hours complimentary tea and coffee service at iLounge which includes an outdoor area with natural vertical garden. 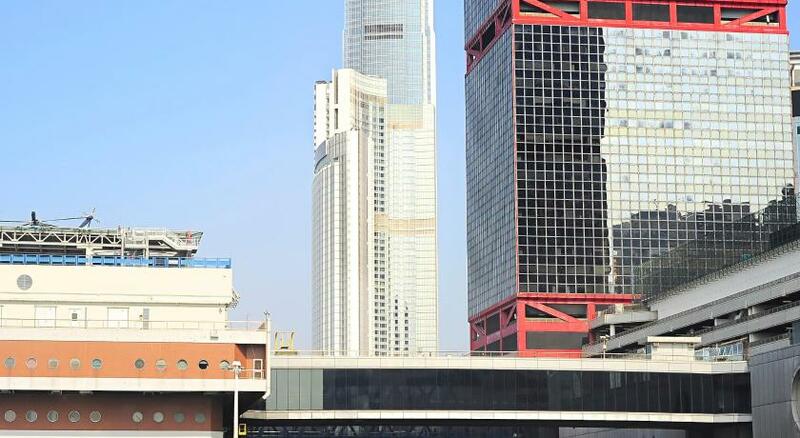 Located on the higher floors, iPlus Premier offers airy view of Victoria Harbor or stunning peak landscape through large windows. 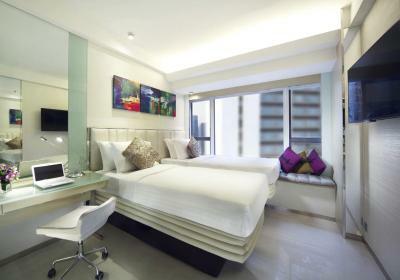 The contemporarily furnished iPlus Premier offers 2 twin beds and are about 17 square yards in size. 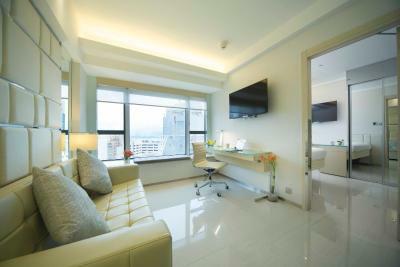 Located on the higher floors, iSuite provides abundant space and extraordinary views of the city, sea or peak. 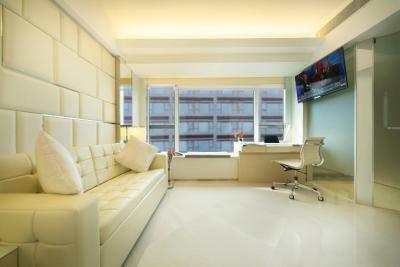 The spacious and cozy 1-bedroom suite is decorated with contemporary and luxurious furnishings. It is equipped with a separate living area, as well as bedroom with attached bathroom and two bathrooms. 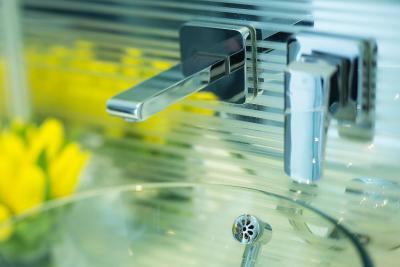 In-room facilities include a double-seated sofa bed or 2 single-seated sofa beds, microwave (on request), in-room coffee machine, 42' LCD TV, writing desk, iron and iron board, mini fridge, hairdryer, in-room electric kettle, in room safe and rain shower. With an average area of 60 square yards, the spacious and cozy iResidence is decorated with contemporary and luxurious furnishings. Located on higher floors. iResidence features two bedrooms with attached bathroom, a separate living area and 3 individual bathrooms. iResidence, in-room facilities includes are designer furniture, microwave, in-room capsule coffee machine, 42-inch LCD TV, iron and iron board, mini fridge, hairdryer, in-room electric kettle, alarm clock and in room safe, equipped with multimedia connectivity panel with USB and audio connection and free WiFi Internet access. 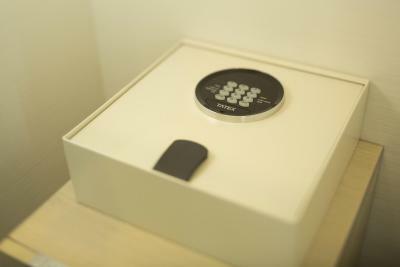 The adjoining rooms feature 2 separate iSelect rooms side by side (no inter-connecting door) whose size in total is 32 square yards. Each room has an individual entrance, a double bed and a bathroom. With an average room area of 16 square yards, iBusiness Premier offers ample space to spread out, work or relax. The contemporarily furnished rooms feature 1 double bed. 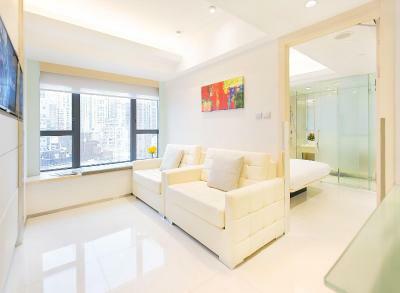 Located on the higher floors, stunning views of Hong Kong landscape can be enjoyed from large windows. 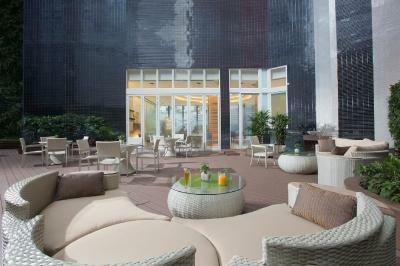 With an average room area of 18 square yards, high ceiling and large windows that allow ample natural sunlight. This custom-made guest room features one double bed plus a sofa bed or one 3-person trundle bed. Furnished with contemporary design and comprehensive room facilities such as a 42' flat-screen TV, iron and iron board (on request), mini fridge, hairdryer, electric kettle, in-room safe and rain shower. 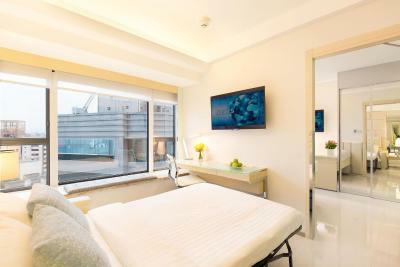 All rooms are equipped with a decent long working desk, multimedia connectivity panel with USB and audio connection and free Wi-Fi that allows you to connect to the world seamlessly. 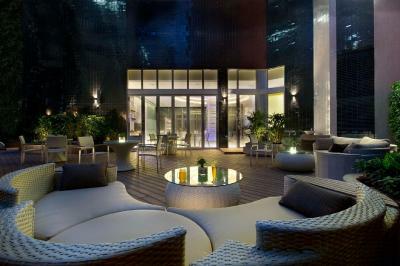 Guest can also enjoy free access to Sweat Zone for fitness facilities and complimentary tea & coffee service at iLounge, a relaxing lounge with an outdoor area, on a 24-hour basis. 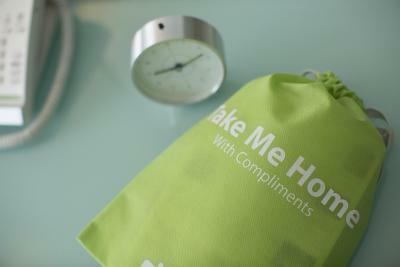 House Rules iclub Sheung Wan Hotel takes special requests – add in the next step! 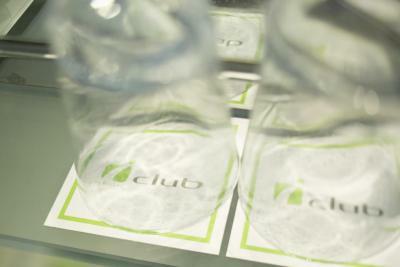 iclub Sheung Wan Hotel accepts these cards and reserves the right to temporarily hold an amount prior to arrival. Please note that the name of the credit card holder should match the staying guest's name. 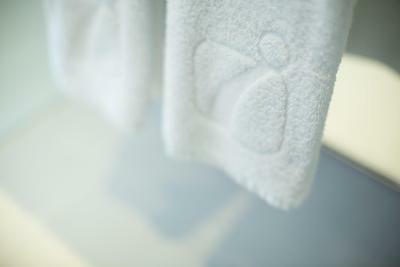 Guest must present the same credit card used to guarantee your booking when checking in or making payment at the hotel. Otherwise, the hotel does not accept check-in. 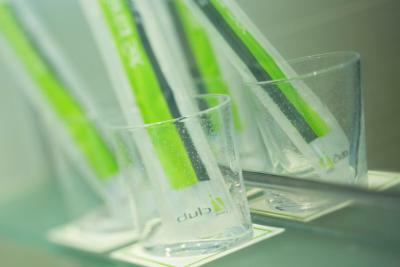 - free access to iLounge operating on a 24 hours basis with complimentary tea and coffee service. - free WiFi Internet access up to 4 devices. Good value for money. Supermarket and shops around hotel, convenient. May be a little more choice on breakfast. The bathroom was not particularly clean (has molds on floors and sink area, sink is clogged, fridge was dirty). While the shuttle from Hong Kong station was convenient, the drop off/pick up location is not at the hotel. It's around the corner by the trash area of the market and next to public toilets. I took a taxi back to the station for HK$35. The first room 3011 allocated to me wasn’t clean. It is managed by Regal group HK. Location and price makes the different. The bathroom is small when you take a shower the water seems to be overflow to the floor. One of the two lifts were broken and it caused us a massive delay on one of the days. The room was very comfortable. The hotel was very modern. Location ,staff are helpful .the room was nice and clean.